Iran's violence against American citizens, against the United States, is not confined to terrorism; it extends to actual battlefields and war zones. "In Iraq, I can announce today, based on declassified U.S. military reports, that Iran is responsible for the deaths of at least 608 American service members," Brian Hook, the U.S. special representative for Iran, said during a State Department briefing on Tuesday. "This accounts for 17 percent of all deaths of U.S. personnel in Iraq from 2003 to 2011. This death toll is in addition to the many thousands of Iraqis killed by [the Islamic Revolutionary Guard Corps'] proxies." The figures, tallied by the Pentagon, are an update from previous estimates that Iran is responsible for murdering about 500 American soldiers. Iran manufactured explosively formed projectiles, or EFPs, which they supplied to Shi'ite militias across the border in Iraq to target Americans. Hook's announcement is an important reminder that the Islamic Republic is fundamentally opposed to American interests and Western values. Indeed, anti-American sentiment is a core tenet of the ruling Islamist theocracy. By definition, Iran cannot cease its hatred of, and war against, the U.S. unless the regime collapses. Détente is possible with a fundamentally anti-American regime. Richard Nixon and Henry Kissinger tried it with the Soviet Union in the 1970s. But Iran's views are based in a deeply entrenched ideology, even a theology, which did not exist among much of the Soviet leadership during Nixon's presidency. The Islamic Republic has very little room to make concessions on social and cultural issues while retaining its legitimacy. True détente is not on the horizon for the U.S. and Iran, no matter how hard some American commentators and policymakers may want it. These same voices pushing for détente do not view Iran as a serious threat to the United States or American interests. 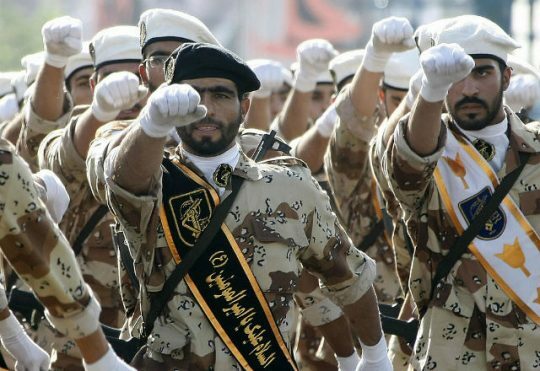 For them, America's Sunni allies in the Middle East, especially Saudi Arabia, and Sunni terrorist groups like the Islamic State are the true threat, and Iran can actually be a partner in fighting them. This view is simply wrong, ignoring several key points. First, Iran poses a broader, strategic threat by seeking preeminence in the Middle East. The regime's belligerence and imperial expansion threatens key allies, oil exports from the region, and nuclear proliferation. Furthermore, Iran actually fosters rather than counters Sunni extremism throughout the Middle East, enraging Muslims across the region and pushing them toward terrorist groups through violent, sectarian practices. And there is the inconvenient fact that Iran has provided extensive support to al Qaeda and other terrorist groups for years. Moreover, and more to the point, Hook's announcement this week should make clear that Iran and its proxies very much pose a threat to the American people. At least 608 brave soldiers were not able to go home to their families because of the murderous regime in Tehran. Iran is at war with the United States, whether people in Washington like it or not. The American government will never adopt a truly effective policy unless it recognizes this fact. No one is asking for the U.S. to declare war on Iran or anything like that. But Iran has declared war on the U.S., and American policymakers must therefore be prepared to confront, not embrace, the Islamic Republic. This entry was posted in National Security and tagged Iran, Iran Nuclear Deal, Iraq. Bookmark the permalink.